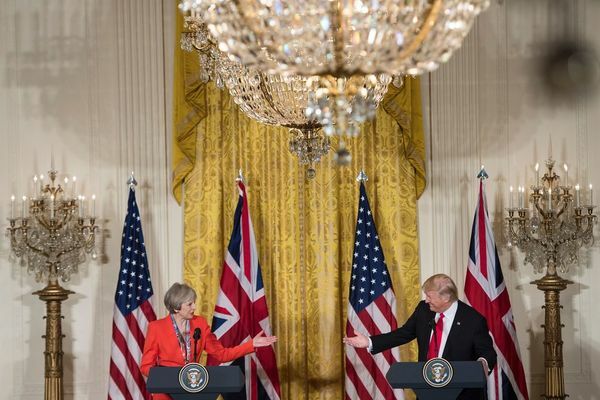 Welcome to The Independent's coverage of Theresa May's visit to the White House. She is due to take part in a joint press coverage with new President Donald Trump. 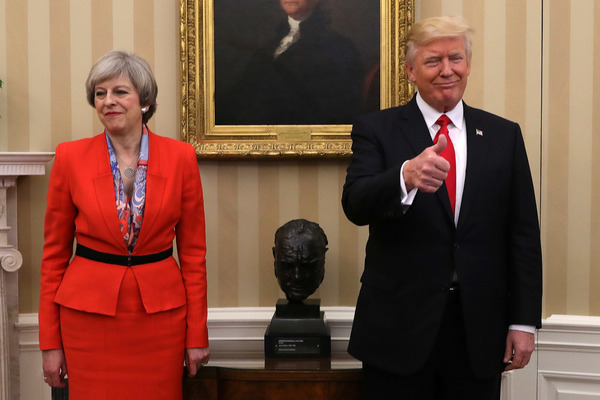 Trump said it was "a great honour" to have the Churchill bust back in the Oval Office after Barack Obama was criticised for removing it. 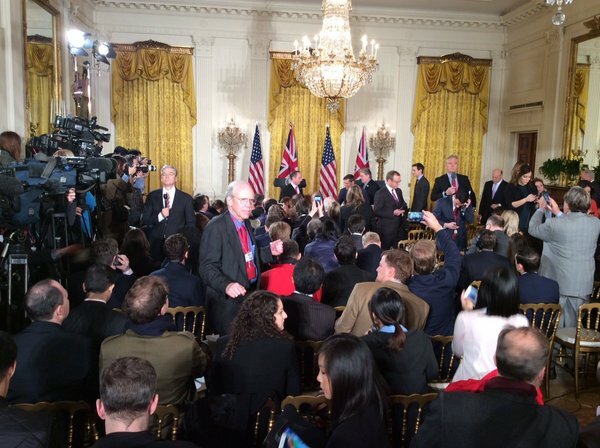 The UK PM calls Trump's election victory "stunning"
Trump responds to May's statement - "that was very nicely stated"
Trump says he is "all for" a good relationship with China and Russia but there are "no guarantees"
On Putin, he says he doesn't know the Russian leader but it is "possible" to have good relations. "I've had many times when I thought I'd get along with poeple, and I dont like them at all." 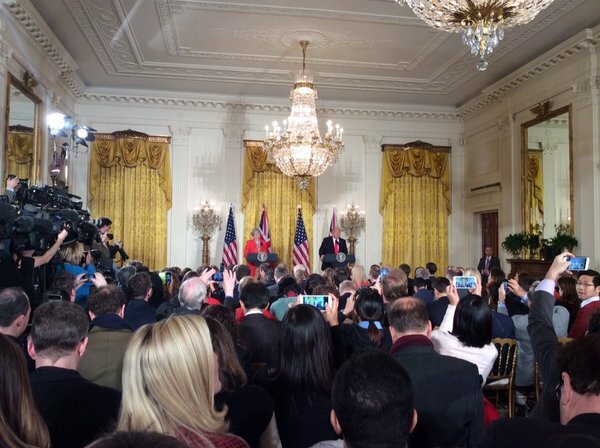 May asked whether deteriorating ties between US and Mexico worries her, but Trump answers it for her: "I think she has more important things to worry about"
Trump says he is "not as brash as you might think" to a question from the Sun political editor. 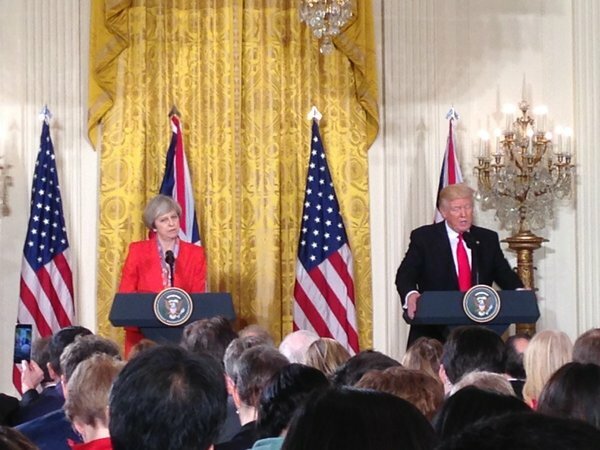 Trump refers to the EU as a "consortium" and says making trade deals with the Brussels bloc was "very tough"
May responds to question on what they have in common: "We want to put the interests of ordinary working people right up there centre stage." Some reaction now from pundits.....some seem surprised by the US President's characterisation of May as a "people person"